and more, all with a reasonable web GUI and excellent command line tools. This how to walks through an install of FreeIPA on a Fedora 23 Server install and configures three servers in a multi-master configuration. It should be similar on CentOS and RHEL (although the packages might be called ipa not freeipa). You can follow this structure and substitute your domain and IP range, or if you don’t want 3 servers, then modify to suit. If you download the server image, you can select Identity Server from the group list, which will automatically include the packages. I prefer to perform a basic install of Fedora, so include instructions for that. Either way, do so on all three of your servers. server so that we can install packages from the Internet. We need to enable ports on the firewall to enable access to services and synchronisation between replicas. We need to set up the first IPA master instance, from which others will be replicated. Note, you can set the id range if you like, or let it auto-allocate. Also, by default, we are setting no HBAC (host based access control) rules, so no-one will be able to access the servers or clients, we will then build up the rules as we go. If you don’t want to use HBAC then remove the –no_hbac_allow option. Now reboot your IPA server and make sure that everything comes up properly. You can see your tickets with the klist command, including their expiry time. While FreeIPA v3 allows anonymous bind (to be disabled in v4), the “memberOf” attributes of a user’s record are not available anonymously. So if you need to configure LDAP based services where you need to filter users by certain groups, you will need to bind as a user. SSH onto one of the IPA servers first, then create a system user via ldapmodify (replace uid and password with what you want). Now you can bind as user uid=system,cn=sysaccounts,cn=etc,dc=test,dc=lan with password you set above, and filtering should work. Now add some DNS forwarders for when you want to resolve something outside of your network domain. This may be your ISP’s DNS, or perhaps Google’s (as below). If you have another domain that you do not control but you need to resolve, you can do this by adding a domain and then setting a forward policy for that. This will re-direct you and you’ll have to access the self-signed certificate. After that, log in and play around! Prepare replicas on the master IPA server (so ssh in there first). This will add the replica host to DNS and generate an encrypted configuration file which we will copy to the replica. The next step is to configure the replica but this does a check via SSH as the admin user. This will fail if you have disabled the “allow all” HBAC rule. It’s no drama, you can add –skip-conncheck option if you’re sure that your ports are all correct, else skip ahead to the HBAC section and create a rule allowing the admin user to ssh into ipa servers. Now we ssh into the replica instance as root and set up the replica using the key we just copied. Back on the IPA master server, get a kerberos ticket so that we can manage the replicas. Now we should have 3 multi-master IPA servers, all serving authentication, DNS, etc, to your network. Now that we have our first IPA server, we can set our desktop to use our IPA servers for DNS to IPA servers. You probably want to do this in your network settings for a permanent solution, or set your DHCP server to provide them by default. Don’t worry that you don’t have the other IPA servers up yet. You should get a response with the IP address from your first server. Now we can install the client tools and join ourselves to the domain. Reboot the machine and test log back on with root. Note, that without HBAC rules, your IPA users can't log onto the machine! See the HBAC section below on how to add your machine to a group and create a rule for it so that you can log on. IPA can serve up central sudo rules to connected clients, but they need to be configured manually (server configuration happens in the GUI or via ipa CLI commands). Reboot and the client should be configured to get sudo rules from IPA (and also files first). There are excellent ipa commands which make administrating IPA simple. Let's create a group of hosts for the IPA servers (called ipa), which we can later create a HBAC rule for. Let's create a HBAC rule for sshing into the IPA servers, and allow our test user to access those servers. You can see our user has permissions to access hosts in the ipa group via ssh. The user should be prompted to change their password. Do that, then log back in. Before we remove a replica or master server we should delete any relationships it has with other servers. This was a hard-learned lesson from early IPA days and it helps to prevent a situation where sync relationships exist but the servers don't. Now we can delete the replica (the second command removes the certificate authority component). Now the replica should be disconnected and removed from the realm. The remaining IPA servers will know this and life should be happy. You can always re-join this same box if you want to, with regular ipa-replica-install documentation above. You can use this to generate not only host certificates but service certificates for servers on your network, such as apache or postfix. Any client machines on your network can import the IPA CA cert and trust any services you provide. You can join your servers to the realm in just the same manner as the client (desktops) above. However, even if they are not joined to the realm you can still create certs for them! Let's create a certificate for a web server on host.test.lan which is has not joined our realm. Add the host (this is not required if your server is on the realm). Add a service for that machine. Allow the IPA server to manage service (else certificates must be done on the client as IPA uses the host kerberos ticket to generate the cert). One gotcha from my own experiences with FreeIPA on Fedora has been try to run either the server or client command with a variable set for the http proxy (HTTP_PROXY I think) these cause a strange failure of one of the setup scripts. This is a great article for getting FreeIPA setup. So first of all thanks. There is one problem in it that got me stuck for a while. In the for statement for firewall rules you left out tcp port 53. This causes the auto DNS to fail when configuring clients. I thought you said this was an alternative to MS Active Directory. That mammoth setup is ridiculously complicated when compared to AD (on any version). If the setup is not as easy as AD, it is doomed to fail in real life. How do you expect your average IT guy to perform all those steps without stuffing up at least somewhere? Hey Jeremy, there’s much more in there than just the setting up of the FreeIPA server itself. I tried to be thorough and step through opening up the firewall, manual networking (in case you didn’t do it in the installer), plus there’re topics on managing dns, replicas, clients, certificates, host based access control and all sorts of things. 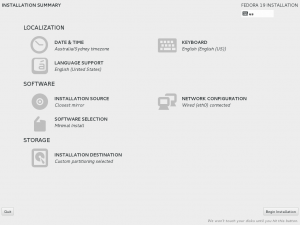 1) Install Fedora choosing “Minimal Install” and select “FreeIPA Server” add-on. hi, do you know if is possible to install and configure ipa-client on sles 11 ? ?, if yes, can you recommend me an article or book that helps me to install and configure the necessary software to enroll a sles 11 client to freeipa-server? 1) where did you get “UUID=f3ab848b-a33c-4b84-ab7a-566bad76963c”? I used uuidgen, it spit out a value, and I used it. 2) this command execution failed: “service network start”. Maybe the problem will be apparent to you if you just spend 10 minutes to create a VM with Fedora 20 and try to follow your instructions up to the command “service network start”. Hi Rolf, yes it should be possible although I think there was a point where the later client scripts would only connect to newer servers. You should however, be able to configure it all manually regardless. What problems are you having? Hi Orkhan, UUID is unique to my system and was generated although it’s is not really required so try removing it. Sorry, I haven’t tried it on SLES or openSUSE.. Sorry for the delay, are you sure you have the right admin password? Do you think its possible to use this product to manage multi-organization structure, for example in IT hosting company? Where users would be separated and organization are independent? It would require multiple suffixes created at the root of ldap tree, but I don’t see how it’s possible in this product. Yeah I don’t think you can have a single IPA server serving multiple domains/realms and you would need a server for each. Might be best to ask on #freeipa IRC channel though. First off great article – works well with centos7 too. Just posting to say thanks, and to warn centos7 users of a bug, if they run into it. At the part where you are setting remote sudo permissions in particular the rhel-domainname (“NISDOMAIN=test.lan”), centos7 has a bug with initscripts which will mean the server will hang on restart. Took me a while to find the solution, but it is fixable. apart from that – everything works great, thanks! Glad it was useful. My apologies, I ran into that same problem on CentOS, so if I’d have added that as a note to this article that might have saved you some time. Will add that for anyone else doing the same. but how can i update this patch? when i make and make install the 389-ds-base-1.3.3.5, and run ipactl restart, the processes failed to up, can you tell me how can i update this patch? You would need to re-compile the RPM from a source RPM and modify the spec file to apply the patch.. There should be a way to modify your config database instead. If you can just change the nsslapd-sasl-max-buffer-size entry in your config database that should do the trick without re-compilation.. Thanks for the reply! I re-compiled the source files after installed lots of dependence packages, but failed to “make install” it. run “ldapmodify -x -D “cn=Directory Manager” -W -h ipa1.example.com -p 389″ on server side all gave no response. do you know how change the nsslapd-sasl-max-buffer-size entry? another questions: I’m configuring ipa-client-2.1.3-7.el5 on centos 5.7, after configured the related files specified by this article: http://wiki.bsdserver.nl/doku.php?id=linux:freeipa:freeipasudo, and https://access.redhat.com/documentation/en-US/Red_Hat_Enterprise_Linux/5/html/Configuring_Identity_Management/configuring-rhel5.html there’s no /etc/nss_ldap.conf file, i created one, and run “ln -s /etc/nss_ldap.conf /etc/ldap.conf”, but the sudo rules didn’t work after done that, do you have any suggestions? Sorry to bother you, please ignore the second question: about sudo configuration on Centos 5, it works after i configured it~, there’s only one questions left: how to modify the nsslapd-sasl-max-buffer-size? I’m not sure how well sudo rules are supported under 5.7, unfortunately I never configured IPA under 5. I know they got better in 6 and is now quite reliable (going through sssd). As to config, can you do an authenticated ldapsearch of cn=config? You probably need to bind as Directory Manager. See if you can find that nsslapd-sasl-max-buffer-size entry. If you can find it, we should be able to modify it with ldapmodify commands. it’s frozen here gives no response, have you ever met such problems on EPEL 6? That looks good, now you need to start running your commands. It works! I thought it’s frozen there, but didn’t think it waiting for me to put the contents of modifying, you are so nice to remind me about it, you solved me a big problems and gave me so big help! thanks very much!!! Just wanted to point out a mis-spell ….. This is a fantastic tutorial, and also a topic for a tutorial! Thanks, I’ll fix it up! We just set up synchronization between the IPA Server and AD Server and setup password. But we cannot see kerberos tickets corresponding to the users fetched from Windows AD Server. Same problem. It’s httpd using it. mod_nss is required by ipa-server package. I’m not sure what to do to work around it though, at this point. Hmm… maybe I need to try it out on CentOS 7.2.. sorry guys I’m not sure what’s causing this. Maybe need to drop by #centos or #freeipa on freenode? Awesome write-up I really appreciate this. Please help me to configure sudo access for ipa-client on Ubuntu 14.04 box. Hi Amit, what have you tried? Do you have know how we can enable trust between IPA and Active Directory 2012. Never done that myself, but I expect there would be lots of information about it. If that’s not helpful, maybe try the #freeipa channel on Freenode IRC network. Do you know how I can install a freeipa client on CoreOS and Amazon Linux? Sorry, I don’t know 🙁 It will depend if they have packages available. If I have multiple client that I want to use FreeIPA for, but with Central management. Is this possible?? I would like to create a central O Server and then create for each client a OU server. This is cause I have user on multiple client environments but also client users on there environments only. Currently we have 30 client environments I need to add to a setup like this and between them is over 900 servers that gets supported. For all of them there is different rules to there password and security complexities for login. At this stage when a support users password needs to be changed it has to be done 900 times for the people supporting over all of the environments. Any help in a setup like this would be greatly appreciated. Sorry, I’m not sure. You’ll have to read the docs or perhaps jump on #freeipa irc channel on chat.freenode.net and ask. Hopefully someone there will know. I am trying to migrate from OpenLDAP to FreeIPA. I am trying to prep some instructions and do some testing. I’m getting Error invalid credentials. Have you ever done this or run into this? Sorry I’ve never done this.. hope you got it sorted. At a guess, did you pass in a password somewhere? I can see your bind but no password. Nice Article. 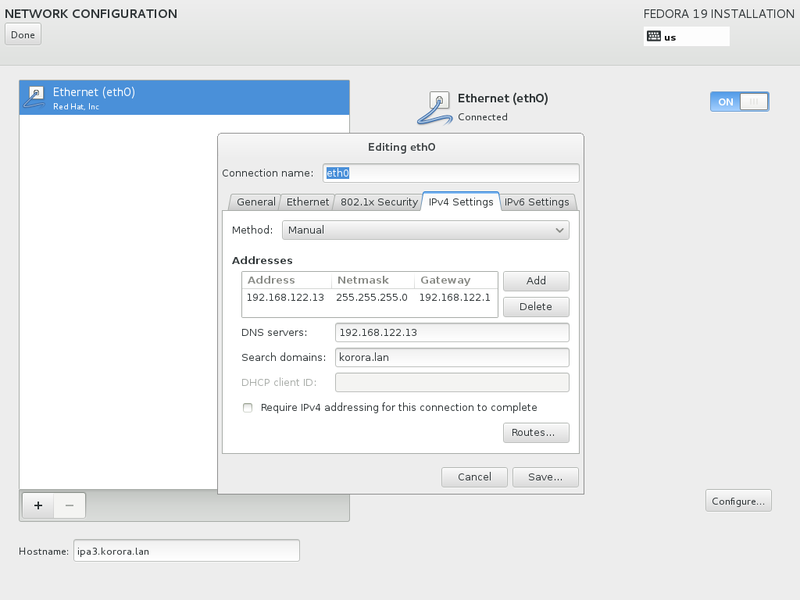 Although it is for the Fedora, but it give me an idea to configure the same on RHEL 7. 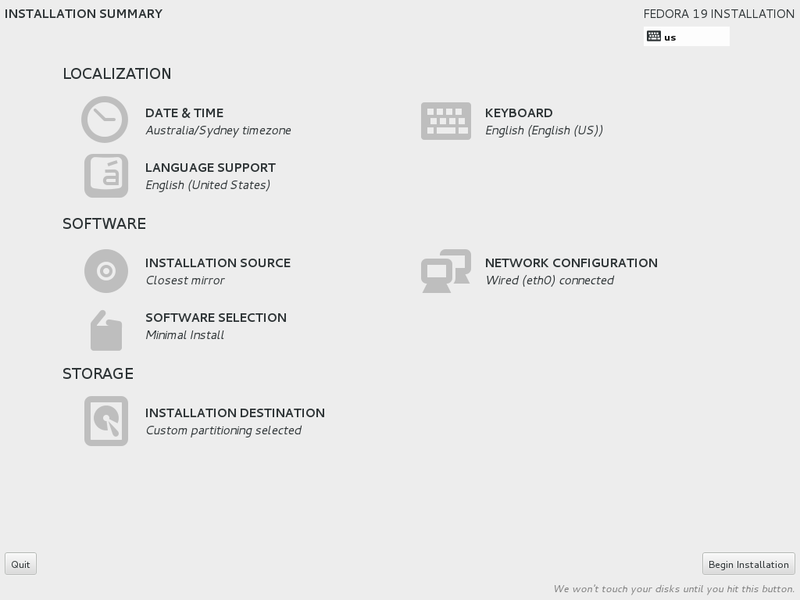 Have a look at Configure Identity Management (IdM) with FreeIPA Server and Configure a Linux Machine as FreeIPA Client. what you are after is Multitenancy, which is not available in FreeIPA.